Ever heard of cowboy girls before? 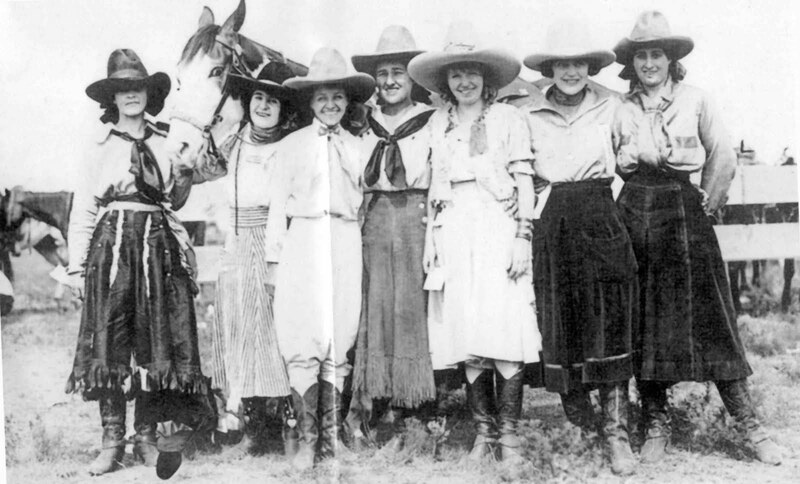 The first half of the 20th Century, they didn’t call themselves cowgirls. They insisted on the term cowboy girl. 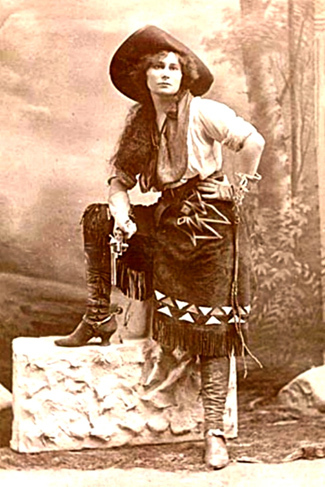 You can usually spot the era of a cowboy girl by the hat she wore. 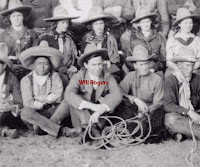 Cowboy girls participated in the famous Miller Brothers 101 Ranch Wild West Show. In 1906 women’s hats were wide brimmed, just like the fancy ones from Paris. Split skirts were acceptable in the show and gals who had the nerve to wear pants were considered real daredevils. rodeos. 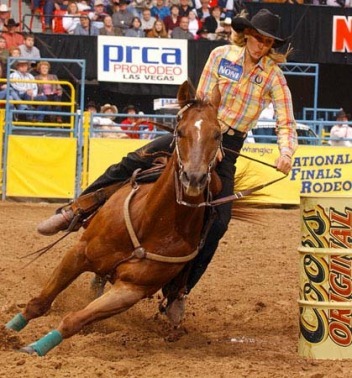 Not just racing around barrels, but riding bucking stock as well. Fake cowboy girl models wore costumes. 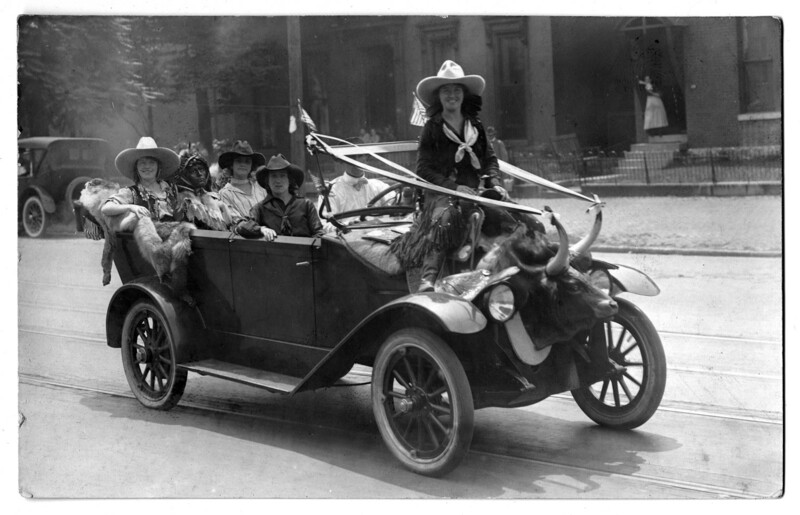 The pose, the bare forearms, the make-up, and especially the huge, floppy hats gave them away. Just like today, you could go into a photography studio and dress up in an old-time looking photo. Gals that never got bucked off in their lives could, for a few moments, pretend to be cowboy girls, like the gal in the poem below. Multi-tasking cowboy girls during WWII or right after, would wear the hat, ride the saddle, and carry a babe in their arms. In some parts of the West, this phenomenon continued into the early 1950s. She and little Buster rode down to meet the mailman to see if hubby sent her a letter from Europe or the Pacific or even Korea. Stephen and I watched Charmayne win several national championships and have an autographed photo of her on the bunkhouse wall. when she gathers them cows in the fall. and all of the places where they’ve been. and listen for the cookie’s bell. and slowly wash her hair. in a land without snake or bug. with a whoop and a ty-yii-yea! and she ain’t havin’ a bad hair day! 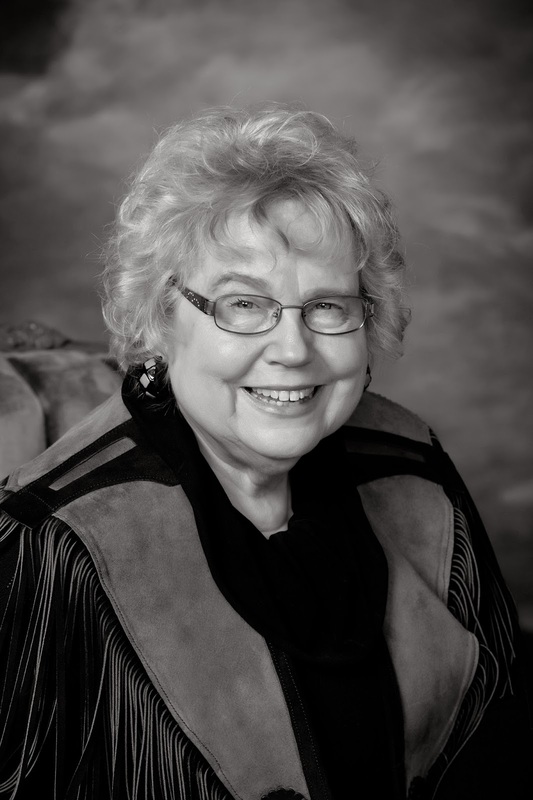 Janet Chester Bly has authored 32 nonfiction and fiction books, 20 she co-authored with Christy Award winning western author Stephen Bly. Stuart Brannon's Final Shot, Stephen’s last novel, was completed by Janet and their three sons--Russell, Michael, and Aaron--and was a Selah Award Finalist. Janet resides at 4200 ft. elev. on the Idaho Nez Perce Indian Reservation. Download now 5 free chapters…. Sharon: Thanks for the note!